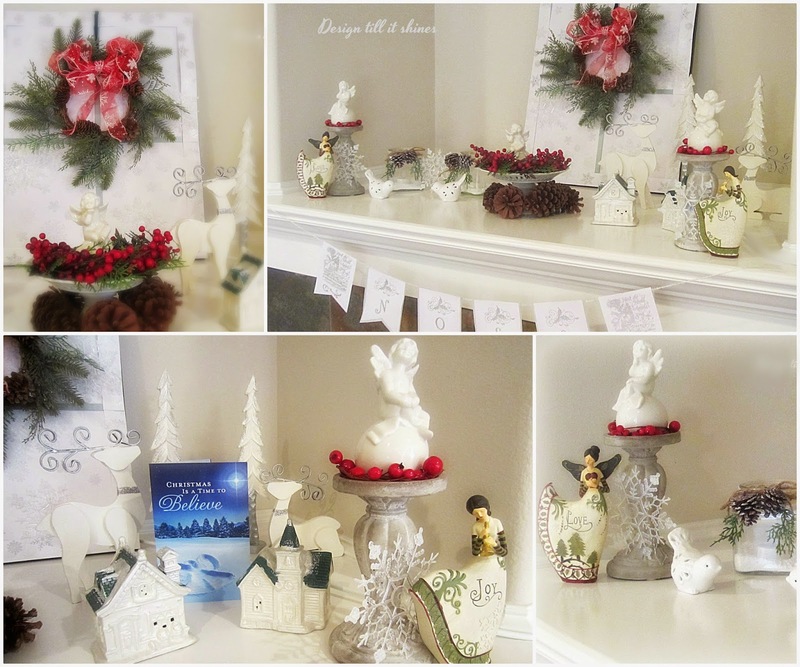 I wanted to make my Christmas decor as simple as possible this year. Finding new ways to repurpose what I already have, and adding a bit of creativity with something new is my favorite way to decorate, especially these days. 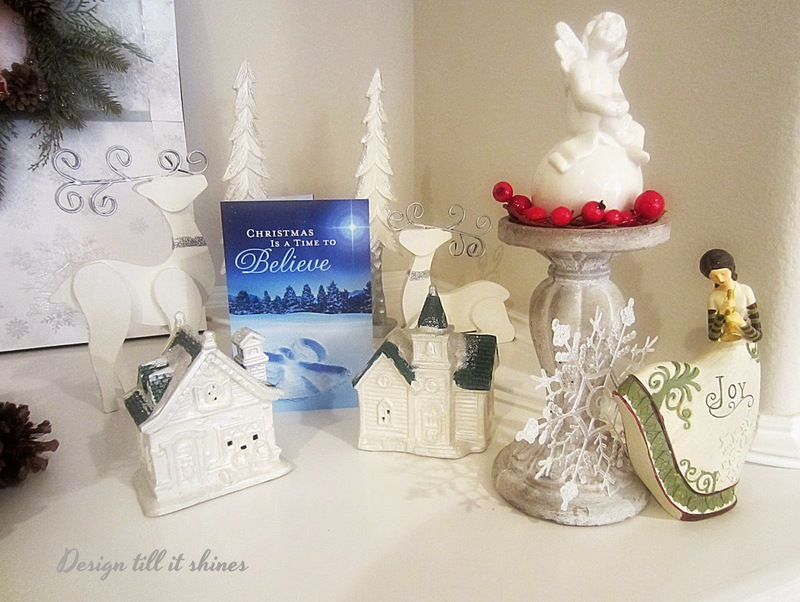 Even though I'm rather late sharing my decor this year, I'm still enjoying putting together a few little vignettes around the house since it puts me in the Christmas spirit and simple and homespun suits my style. 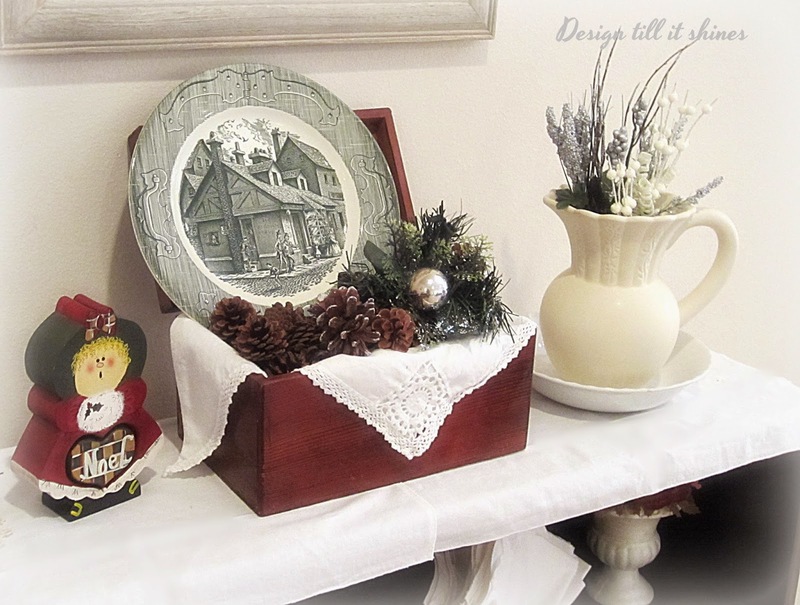 I wanted to add a bit of Christmas to my kitchen counter, so I added this cardinal tray I found at Joann's and a tin I found while thrifting. 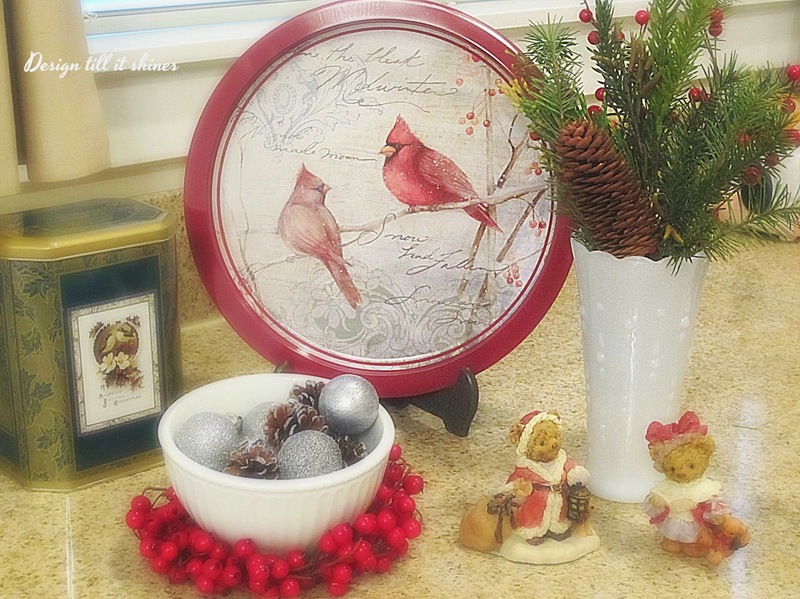 I love bird scenes for Christmas, so I was glad I found this pretty tray rimmed in red. 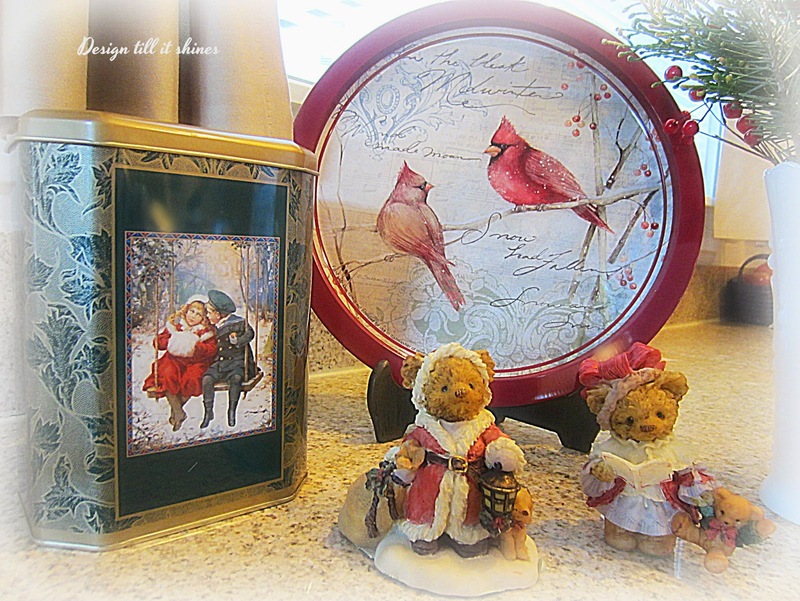 I came across the little tin, love the winter swing scene, and knew it would go well with my tray, then I added my little Christmas bears that I've had for years. 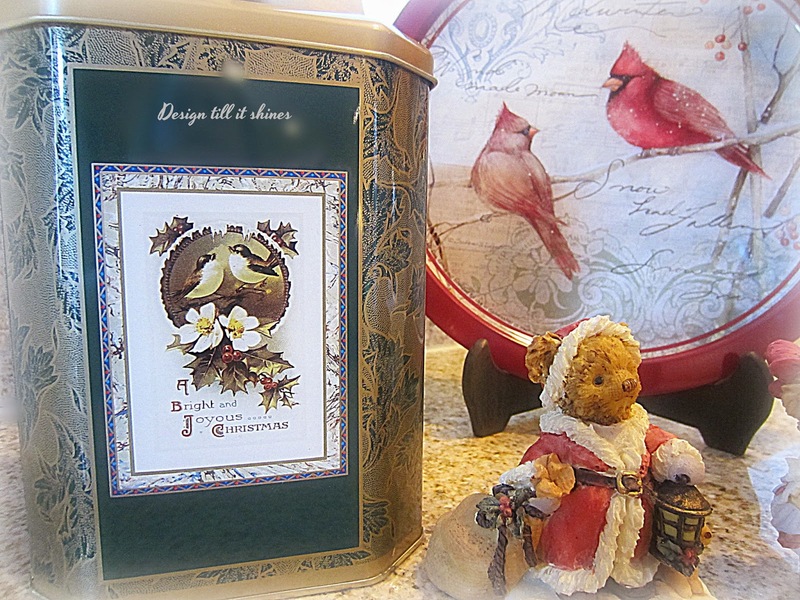 The reverse side of the tin shows some sweet Christmas birds. 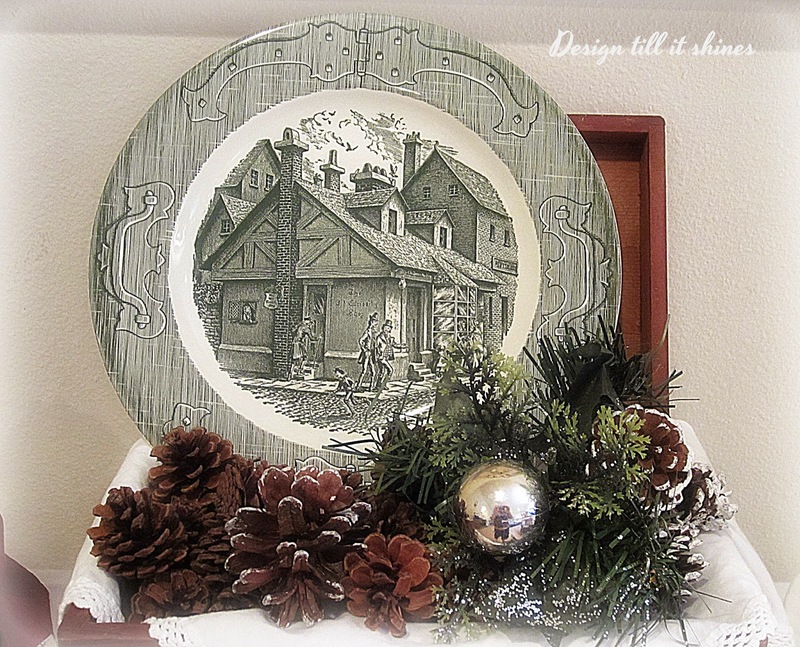 I added a bowl and vase I already had on hand, and some fresh and faux greenery and pinecones to the vase to complete my little Christmas scene. I had planned on creating two posts for Christmas, but I realized I was running out of time, not unusual for me this time of year, so I combined everything into one post. 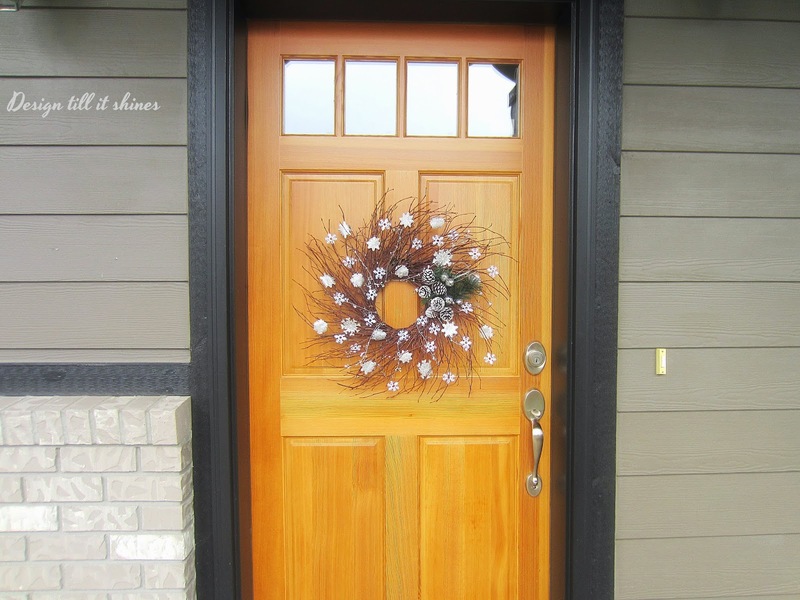 I wanted to do something a bit different on our front door this year. 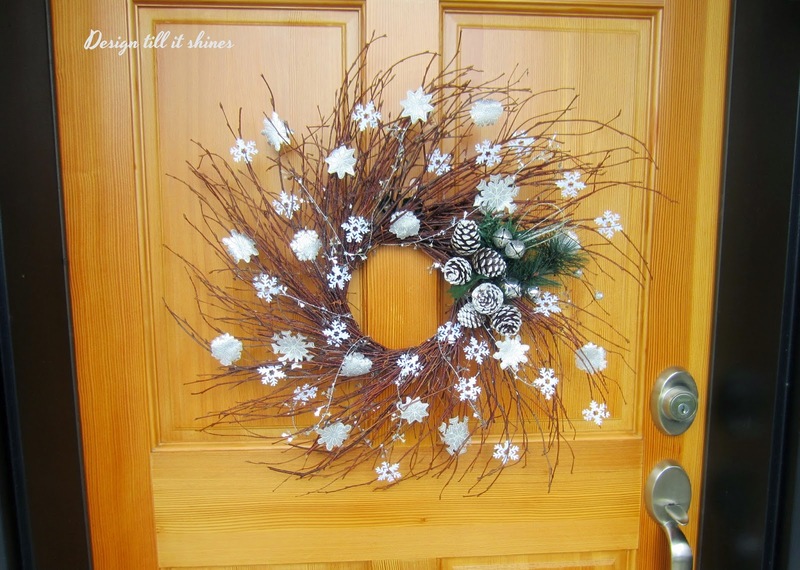 I decided on a snowflake theme so I could leave our wreath out all winter, so I added some glitter snowflakes I made along with some made out of fabric to a twig wreath. I really like the spiral pattern of the twigs, and I knew we wouldn't have any other decor outside, so this wreath filled in the door nicely. 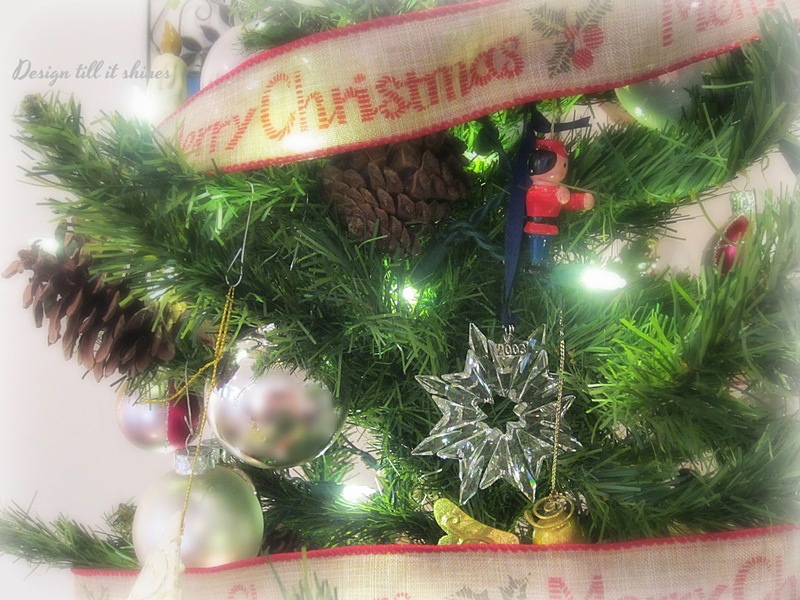 I added some pine cones and silver bells for an accent. 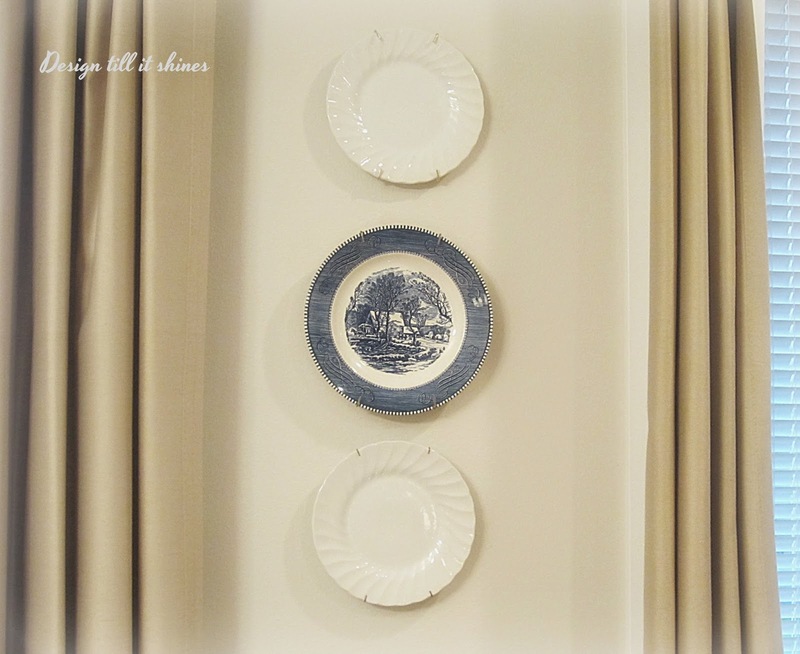 Moving back inside to the dining area, not the best pic of the plates on the wall, but I wanted to show my little Currier and Ives plate that was a thrifting find. 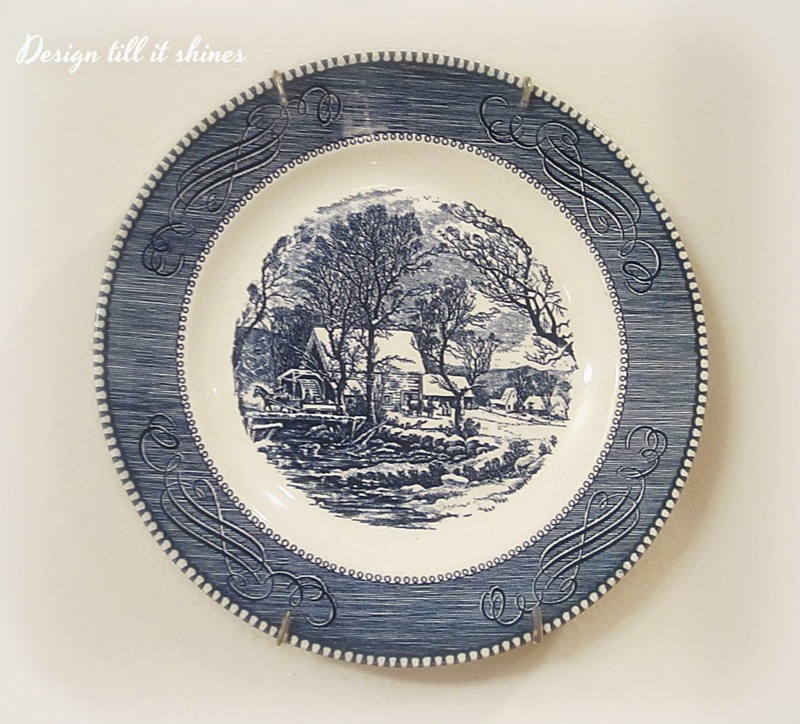 I have limited wall space here, so this simply designed plate with its lovely winter scene works well in the dining area. 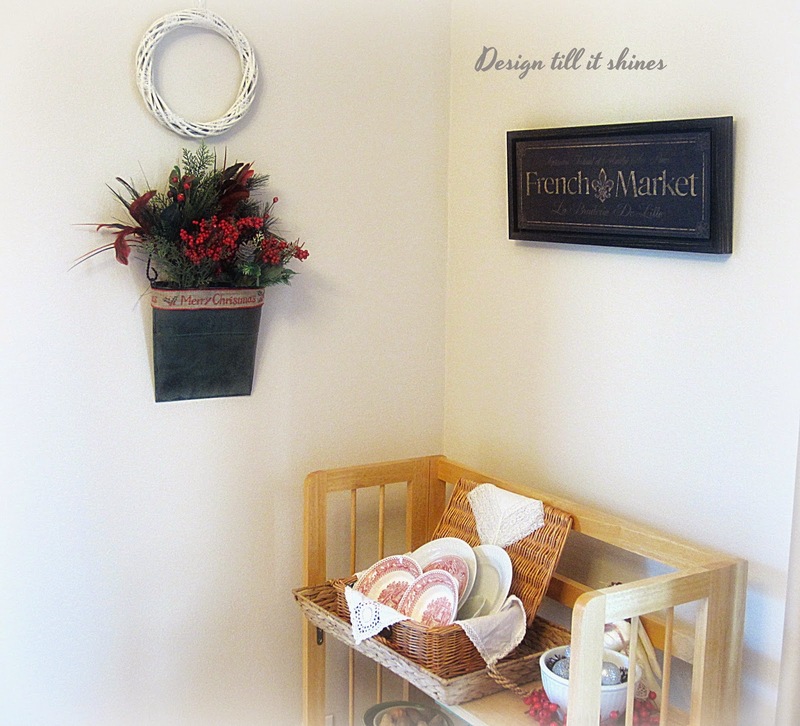 I kept my wall basket up in the corner of the dining area and added some red and green picks along with some Christmas ribbon. I decided the Merry Christmas ribbon was enough without adding a bow. The singing angel doll is a gift I received many years ago from my Sis in law and I always bring it out this time of year. 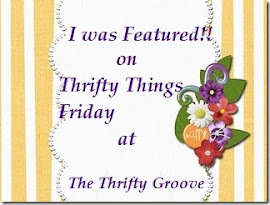 Not the best quality pics on the west side of the living room, but I enjoyed coming up with something using my Dollar tree polar bears from last year. 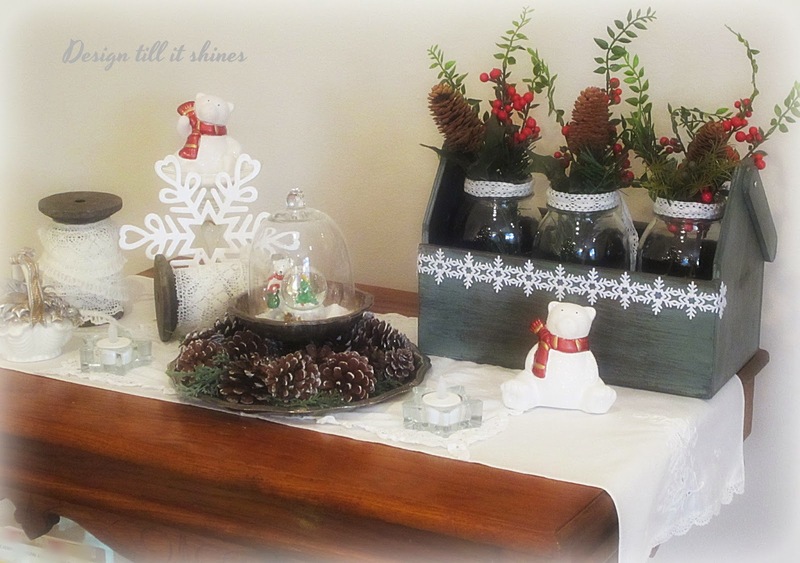 The tool box was already on the table with the jars so I just added some berries and pine cones for some Christmas color. 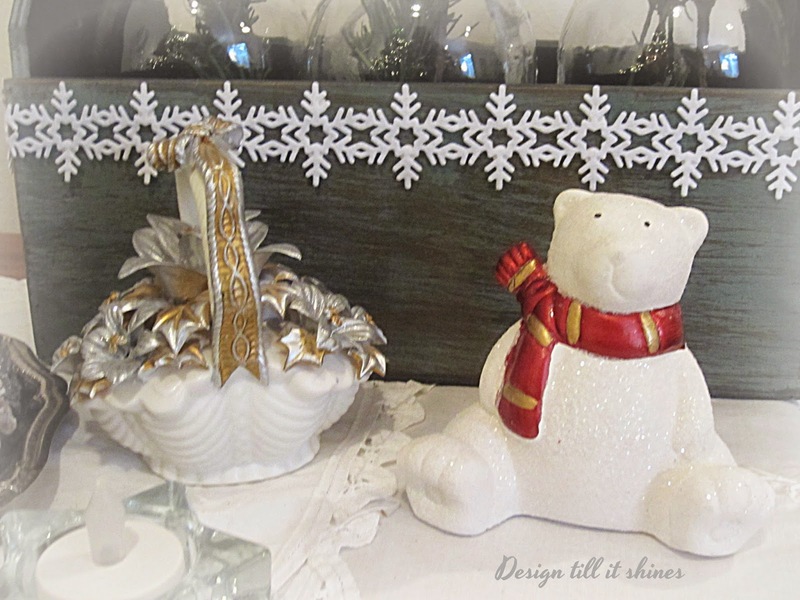 I had some snowflake ribbon from Target and added it to my box, which led me to buy some wooden snowflakes and paint one white to add to the snowflake theme. The polar bear globe is also a dollar tree find. 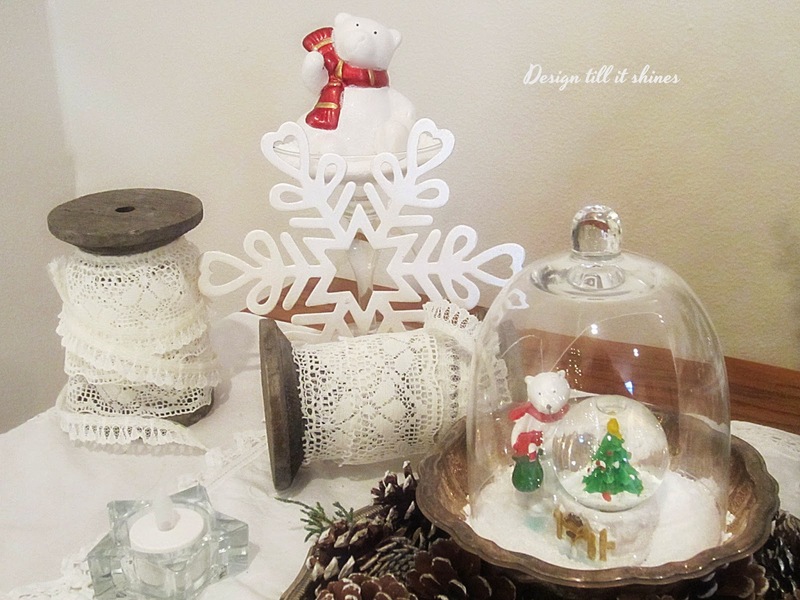 I've always loved the old fashioned look of spools with lace, so I found these at a craft store on clearance and added some lace I already had for a vintage look. The white snowflakes make a pretty contrast with the green toolbox. 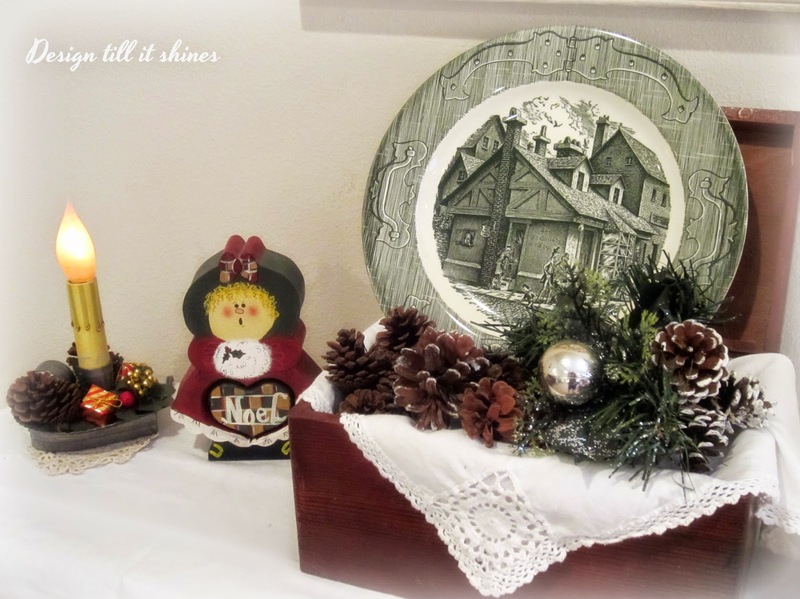 I added this plate with a scene from The Old Curiosity Shop, mainly because I love green and wanted a vintage looking plate displayed in my small antique chest, so this one worked nicely. My little tole painted Noel caroler is one of my favorites that I've had many years. 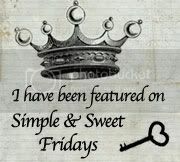 I have many things that are inexpensive, but there is beauty in these simple things and I enjoy finding creative ways to display them. 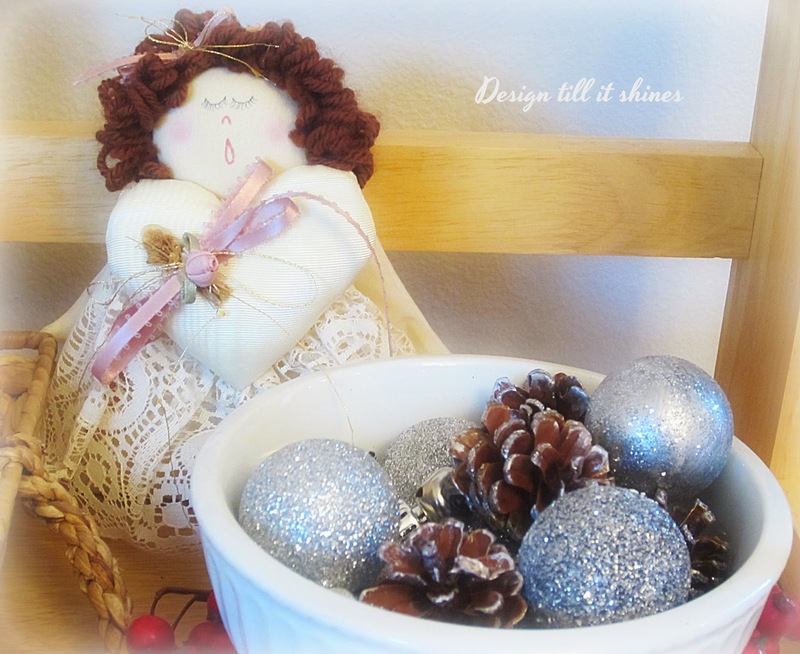 A few pine cones, greenery and glitter add some sparkle to this winter scene. 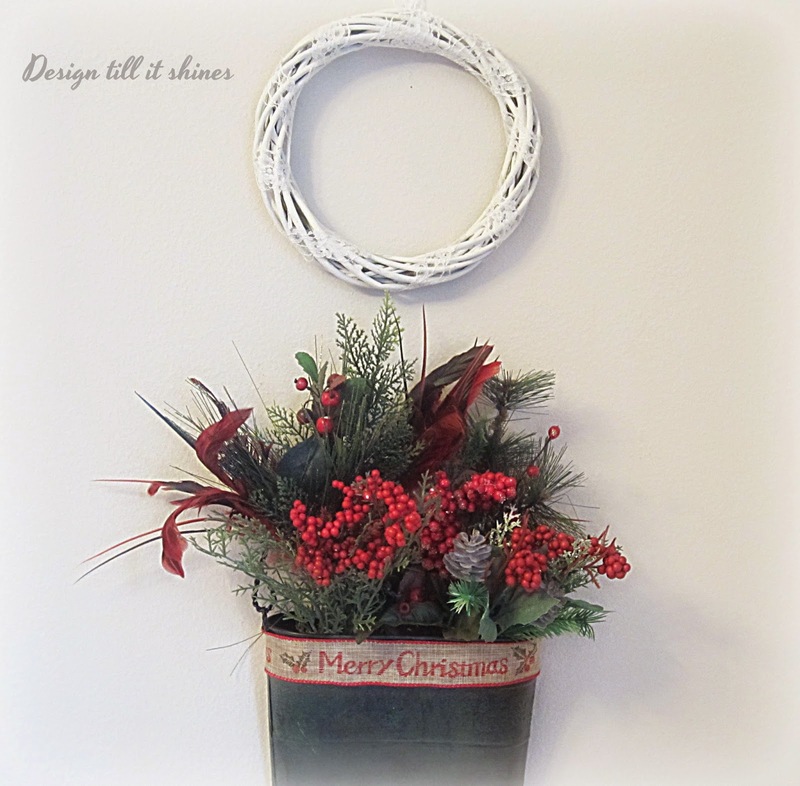 I love the soft look of white for my Christmas mantel with the vibrancy of red and a snowflake ribbon for my wreath. 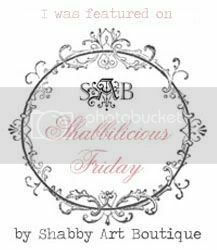 A mix of old with a little bit of new for a sweet angelic scene. 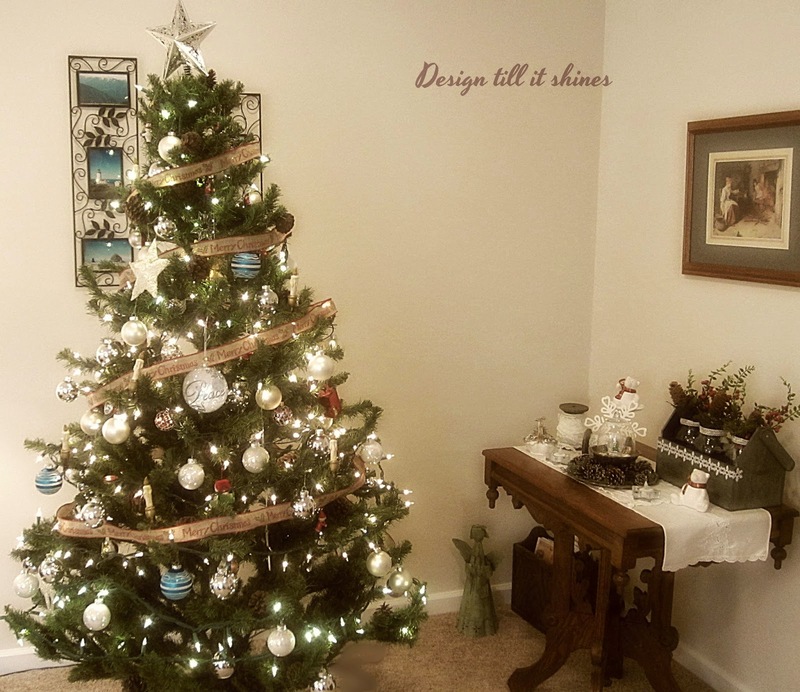 We have had these tree for many years, so this will be our last year and I'll be adding a tabletop tree for next Christmas. 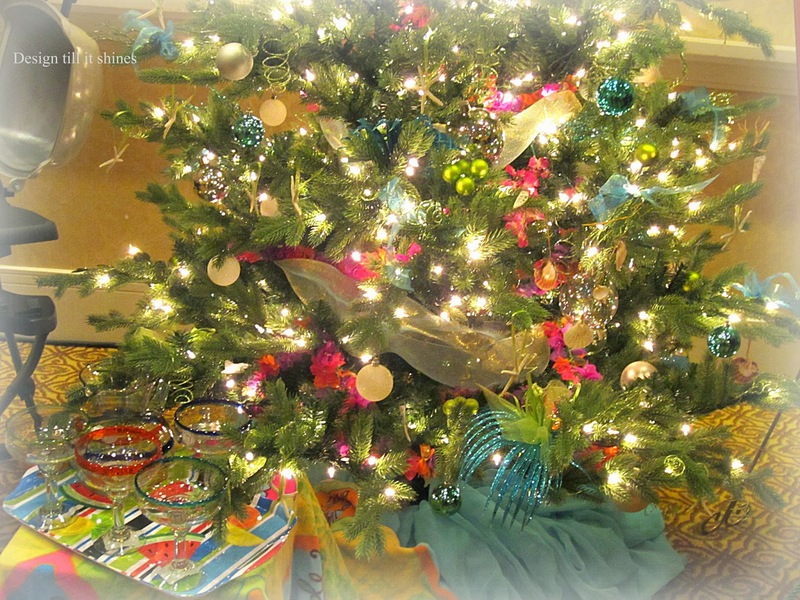 I love the look of smaller trees all decorated on your tabletop with presents all around, such a pretty look. I aged this photo a bit since it is so hard to get good pics in this dark corner. 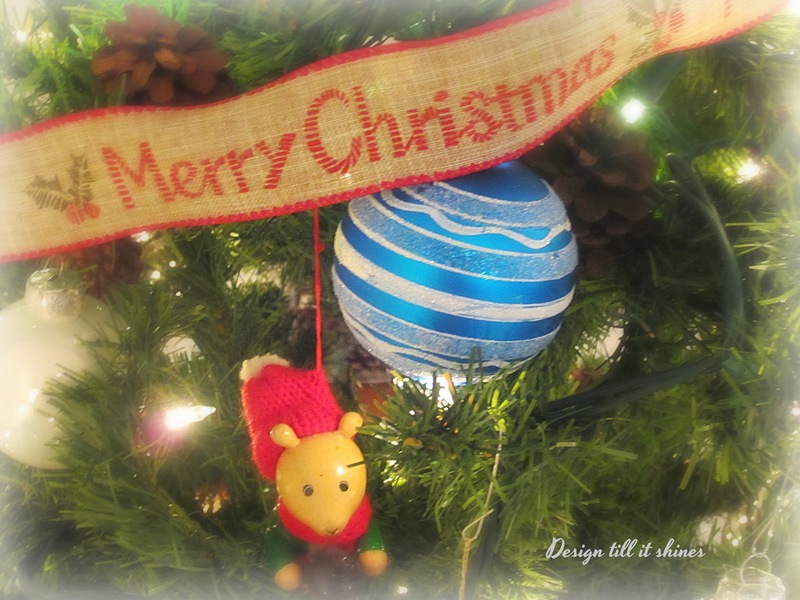 A little whimsy is always fun with these vintage wooden ornaments. We all know Christmas can be a very difficult time for some, so I like to keep my holiday posts light and share the joy of the season. 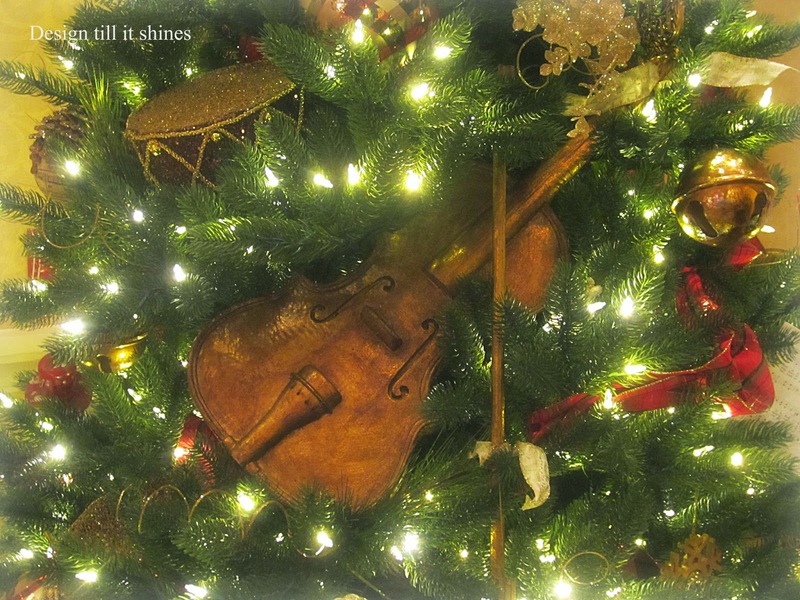 I hope the season brings you joy as well, Merry Christmas! 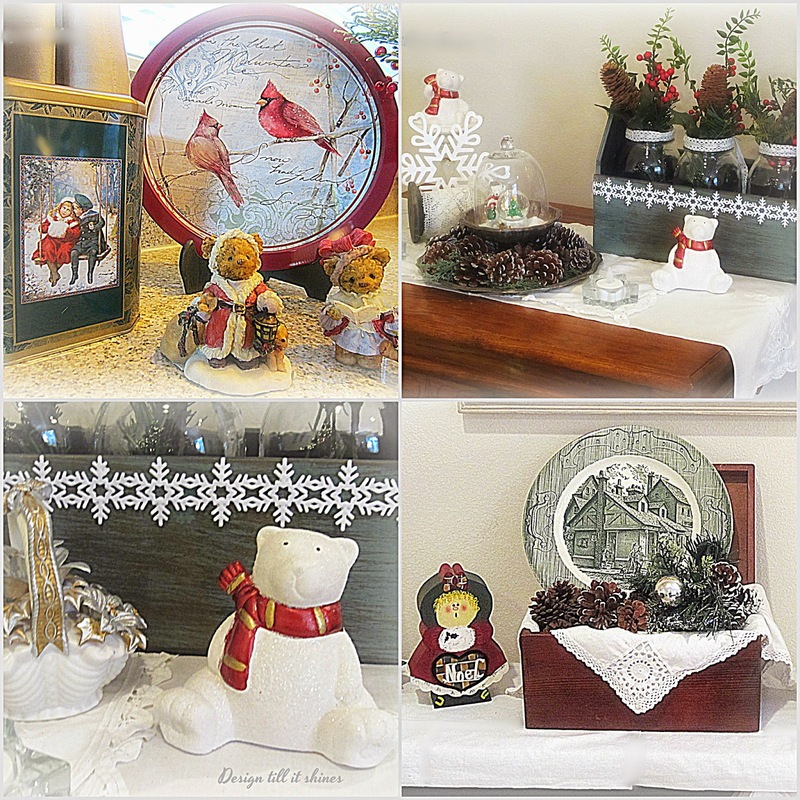 I thought I would be knee deep in Christmas decor by now, but I had some minor back pain that changed my plans. 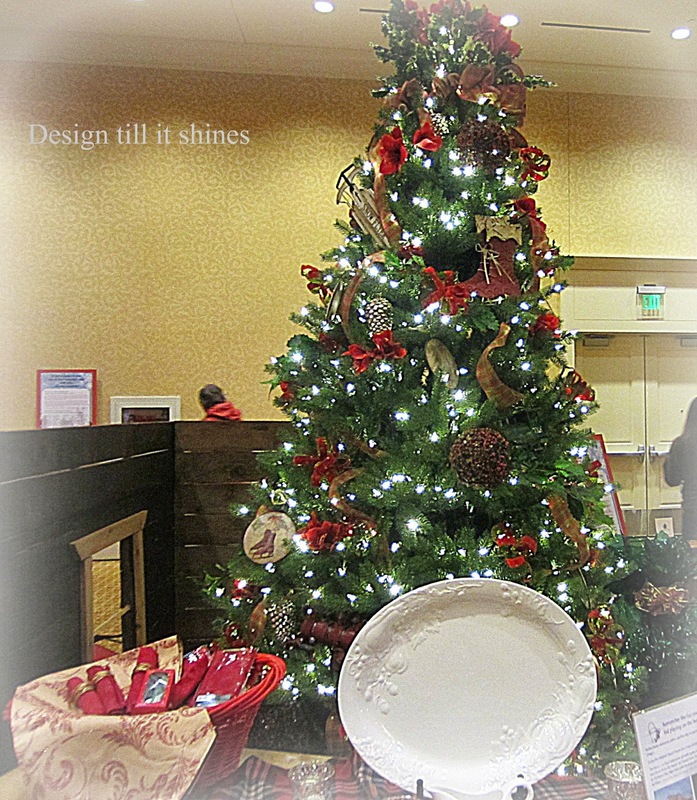 I'm finally on the mend now, so I'll be sharing some home decor soon, but in the meantime here are some photos from our recent visit to our annual festival of trees event that is held every year at the Hilton downtown. 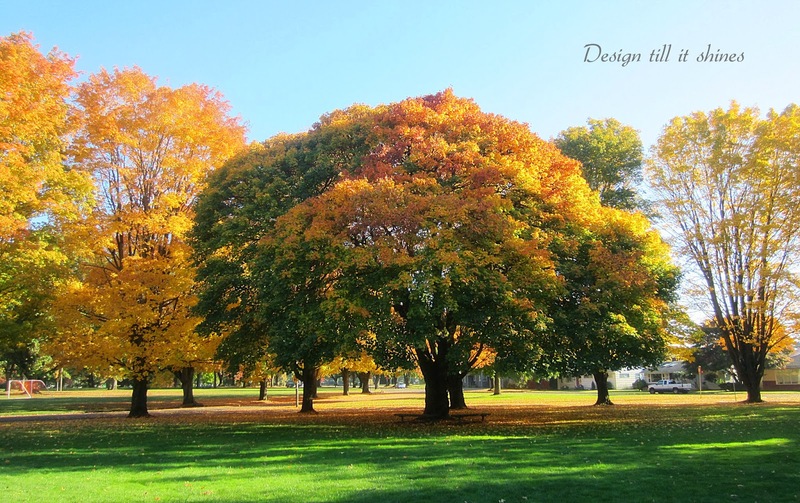 It's been much larger in the past, not as many trees for some reason, but the ones on display were quite pretty. It was rather dark inside so I did the best I could with these pics. 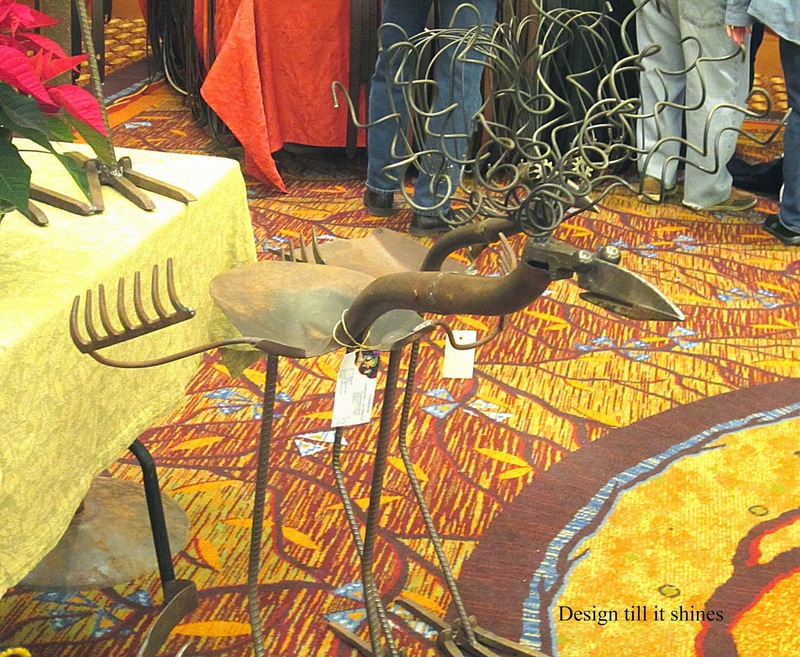 They also had a nice Farmer's holiday market which we really enjoyed since the tree festival was smaller than usual. 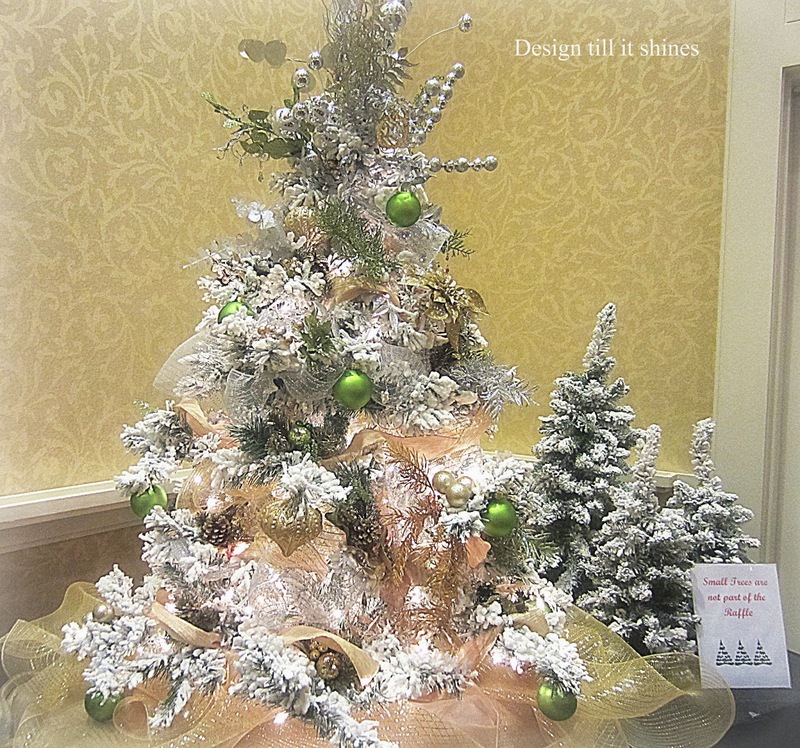 I'm really loving tabletop trees this year and this pretty flocked tree was my favorite. 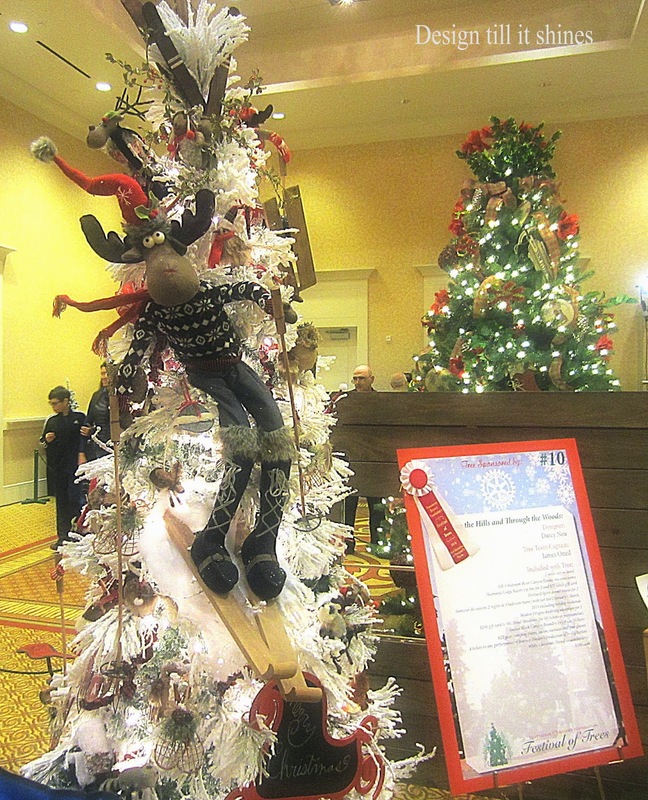 I wanted to share this photo of the skiing moose. Quite a character. 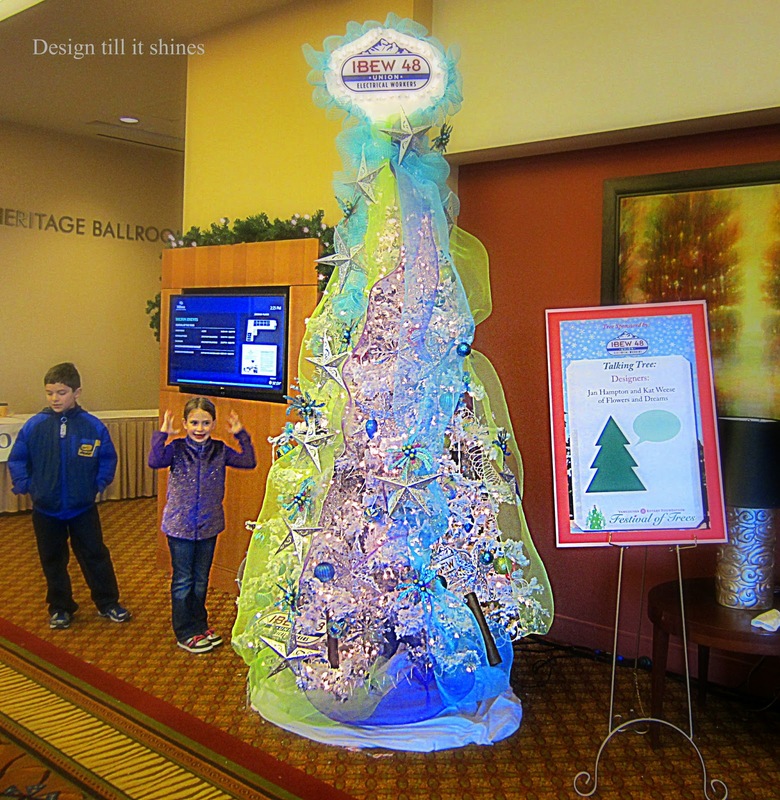 All of the trees had a theme and were being raffled off at the end of the festival. They had a talking tree for the kids and I enjoyed watching this little girl all animated talking to the tree. Of course her older brother was looking bored. 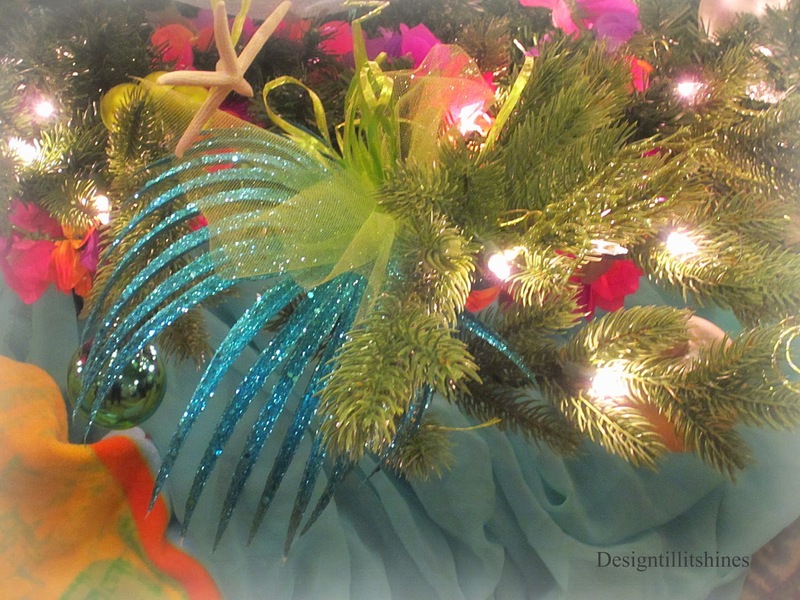 This tree had a tropical theme. 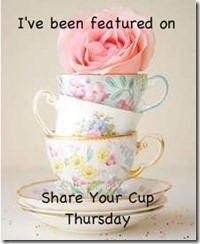 Love the soft pastel colors and decorations. All you would need is a pitcher of margaritas and you'd be all set. This blue spidery tree decoration was quite unique looking. 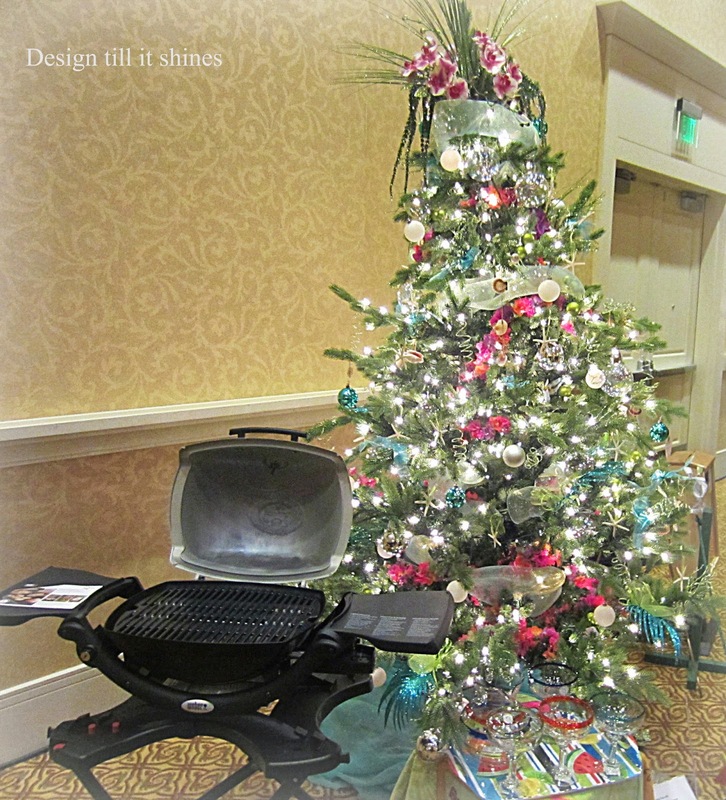 You could have a lot of fun during the holidays decorating your tree in a non traditional way for a change. This tree was so pretty in person, but I just couldn't get a good photo of the whole tree. 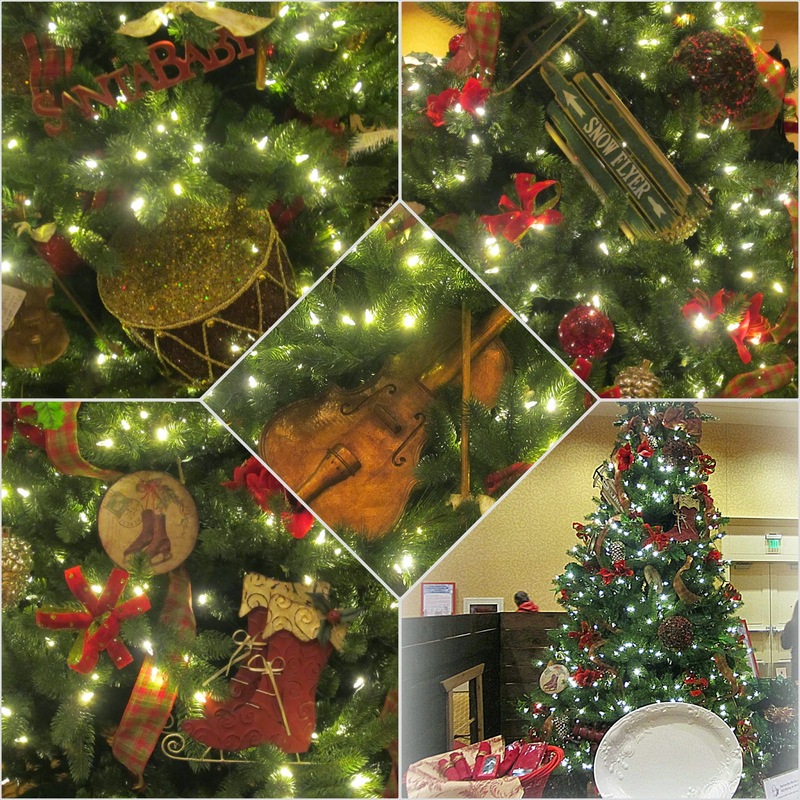 Closer pics reveal the detail of the pretty vintage ornaments. 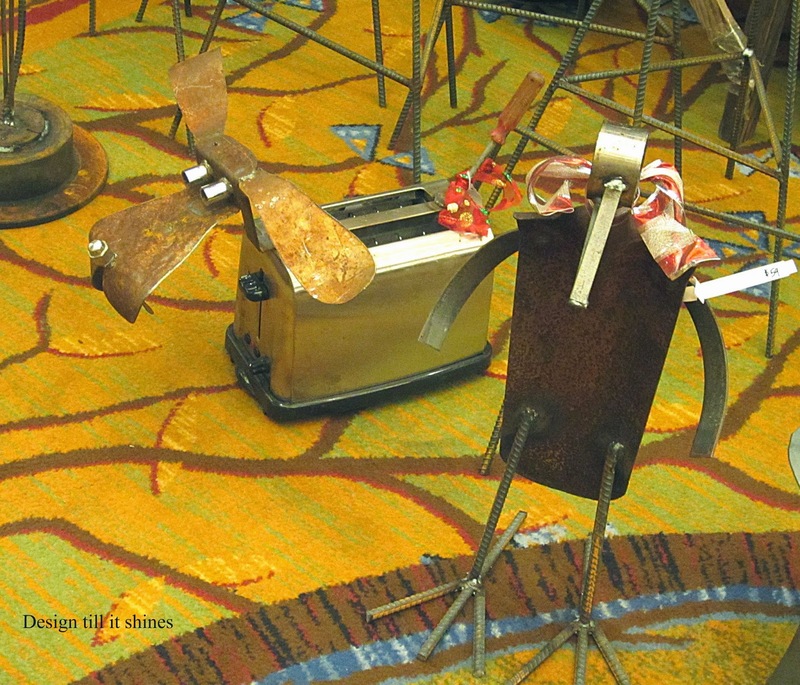 The decor left a lot to be desired in the holiday market conference room at the hotel. I'm not sure what decorating theme they were using in here, but it looked like something from the 60's Star Trek series. Maybe they were going for a retro theme in here, but it didn't work for me at all. 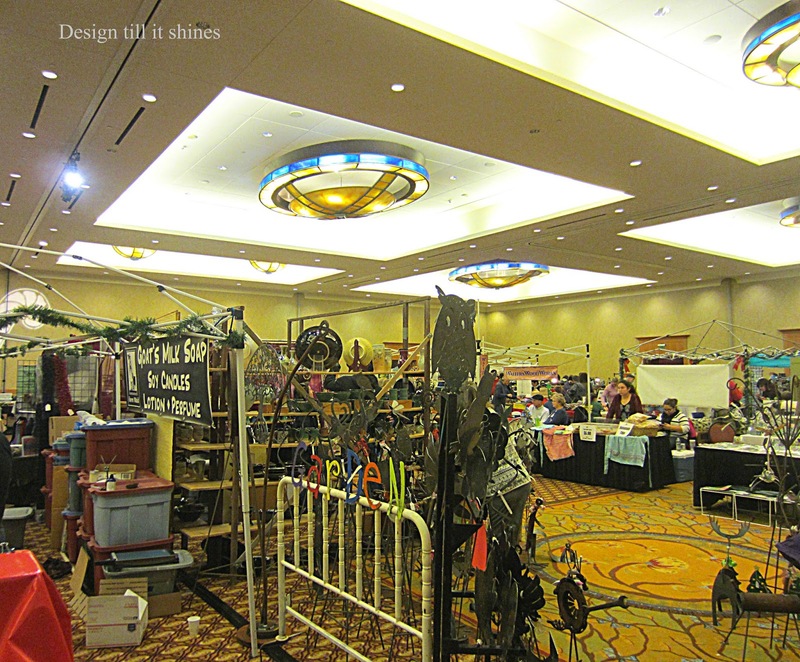 The funky looking ceiling lights and gaudy carpeting took some time to get adjusted to. 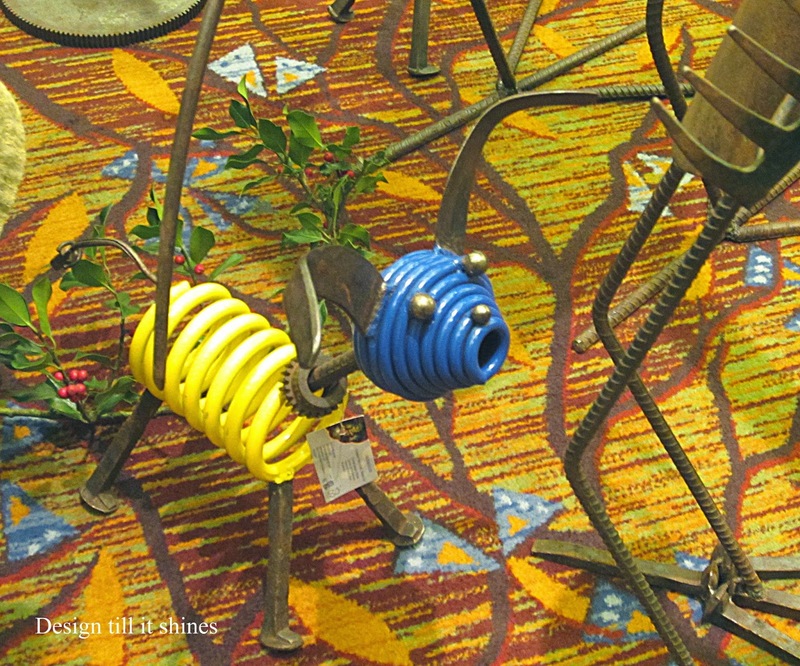 The carpeting looks right at home with these quirky metal sculptures made of tools. Love this crabby looking bird and its wild spiral hair. 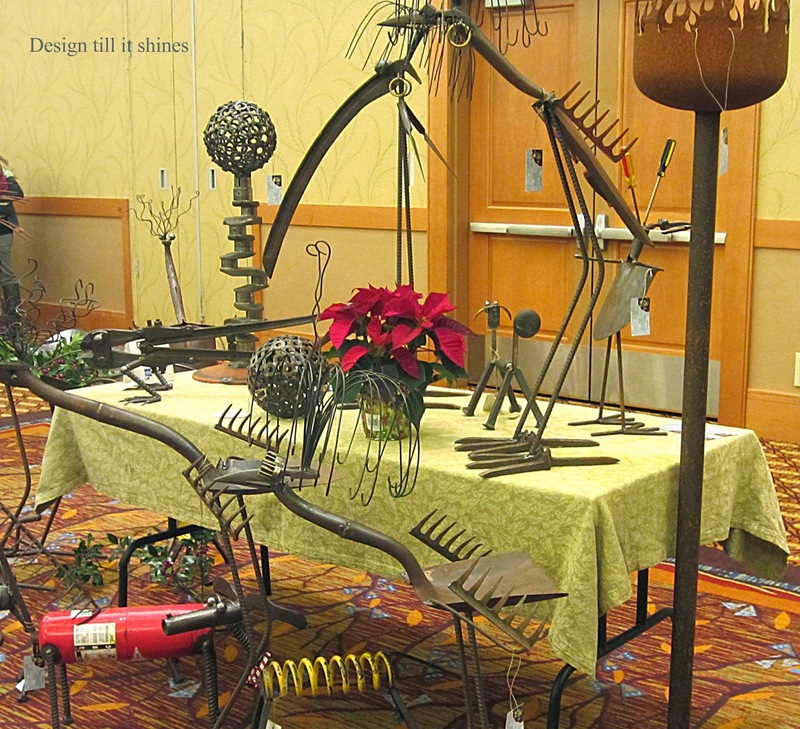 The artists are so creative putting these sculptures together with different metal parts and tools. 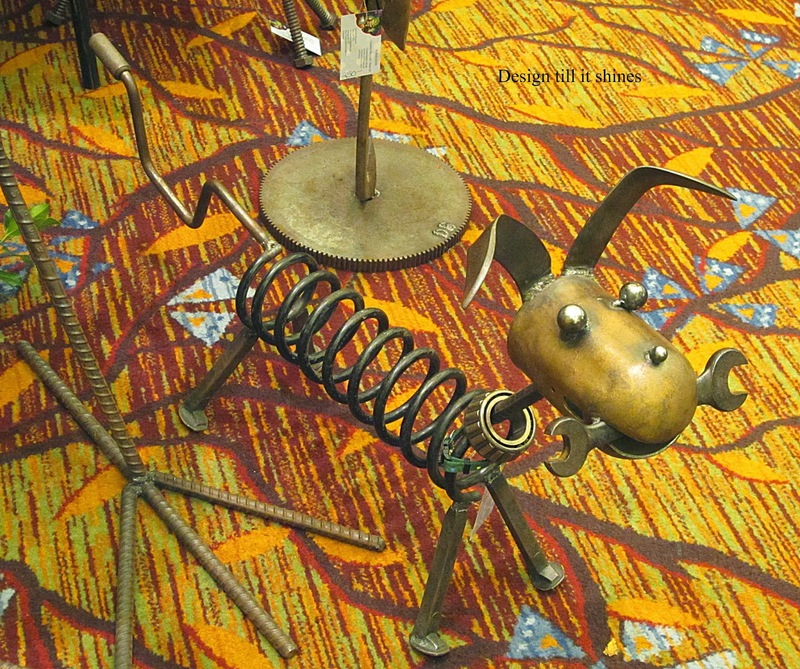 This dog is so cute with the wrench in its mouth. 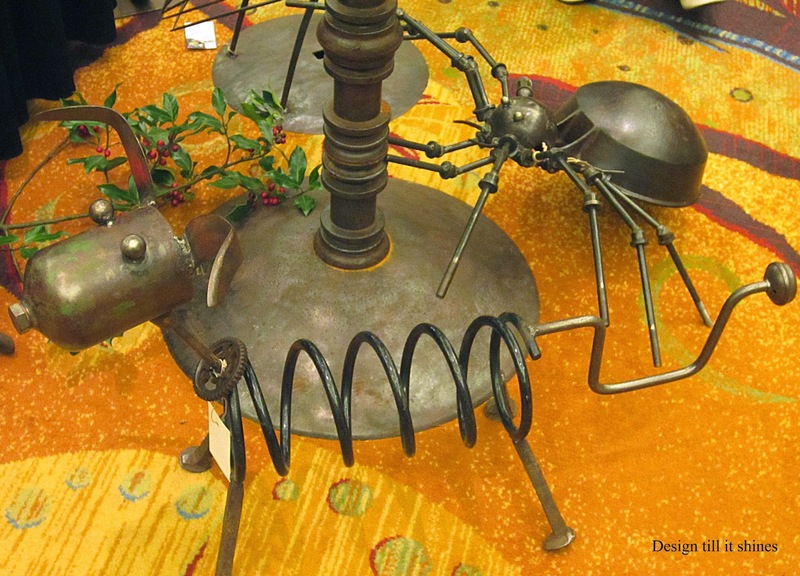 Love the handle for the tail and the creepy spider. This glam looking bird is so unique and love the hoops. I think I would want something a little friendlier looking in my garden though. With a face like that she might scare the little birds! 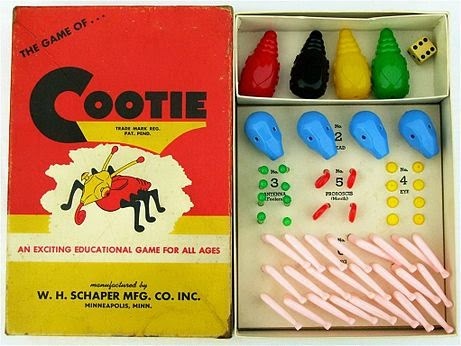 Another peculiar looking sculpture that reminds me of the cootie bug game that my older brother played with as a child. It matches perfectly with the carpeting. I always thought it was a rather creepy looking bug, but fun to put the pieces together. I really liked this dog toaster, but after seeing this picture the imposing looking penguin is pretty cute too. 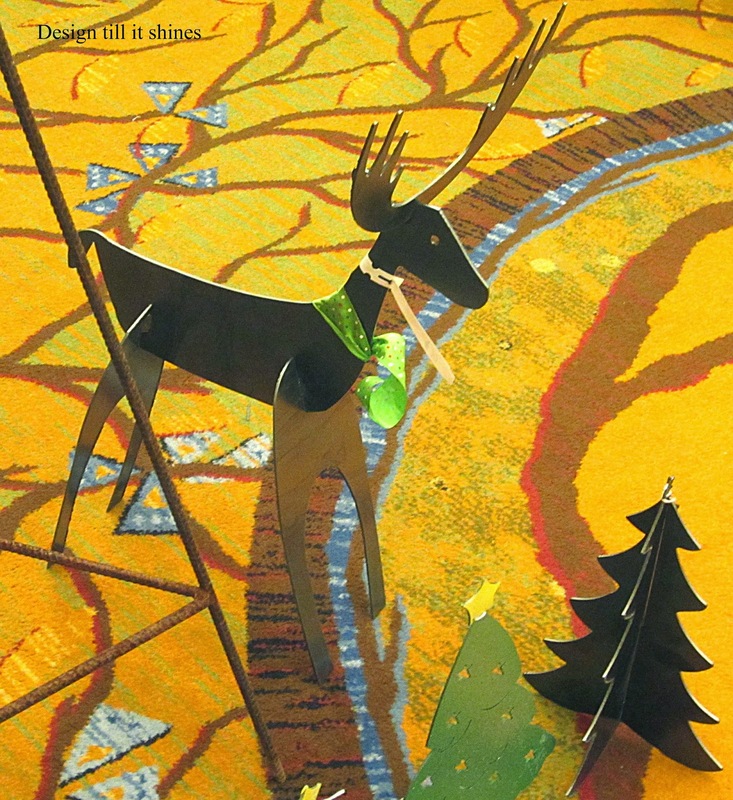 A little reindeer is perfect for Christmas. 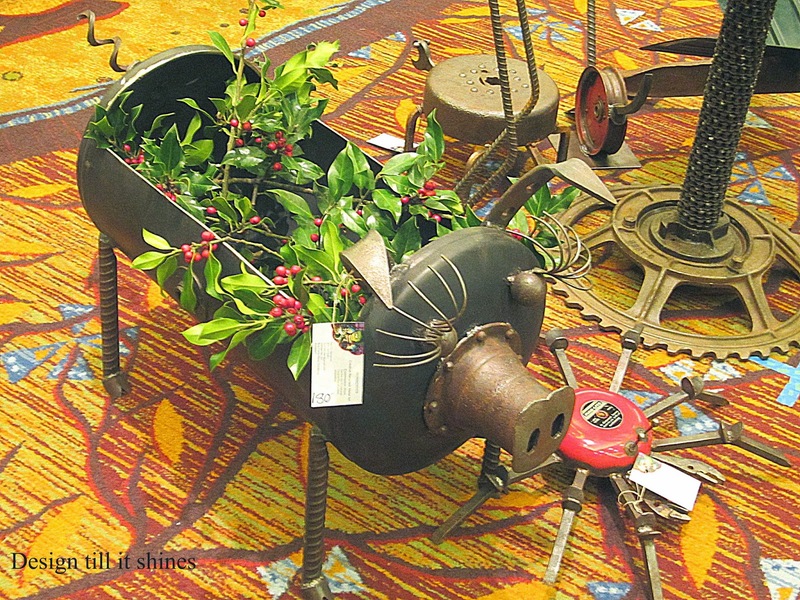 My favorite though is this Petunia pig planter. 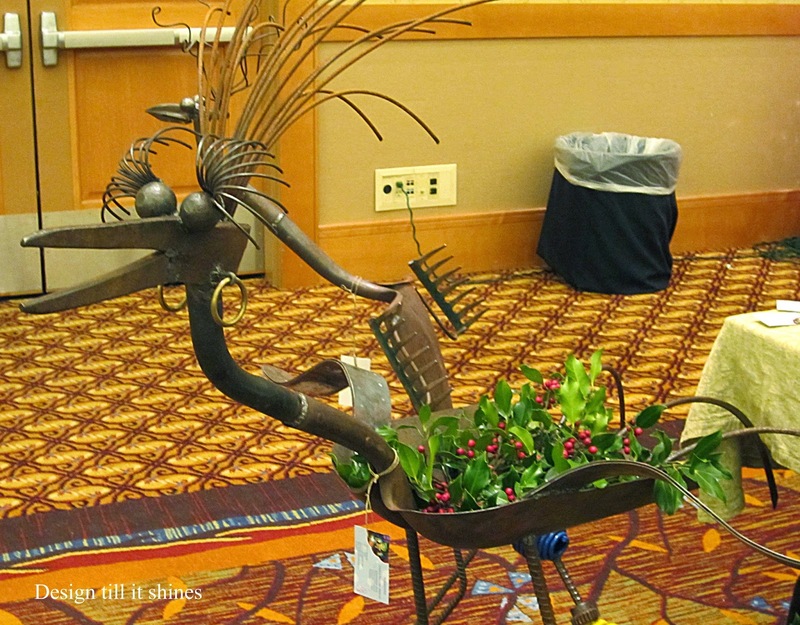 She would look perfect in a garden or outdoor space with overflowing plants or flowers. From her snout to her curly tail she is one cute pig. Thanks for stopping by! 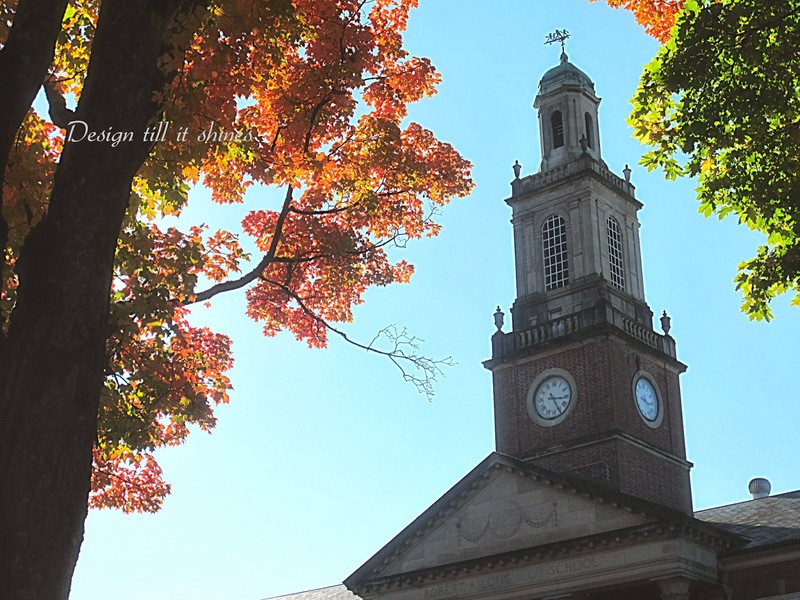 I was planning on posting some recent fall photos, but our fall hasn't been as colorful as years past. 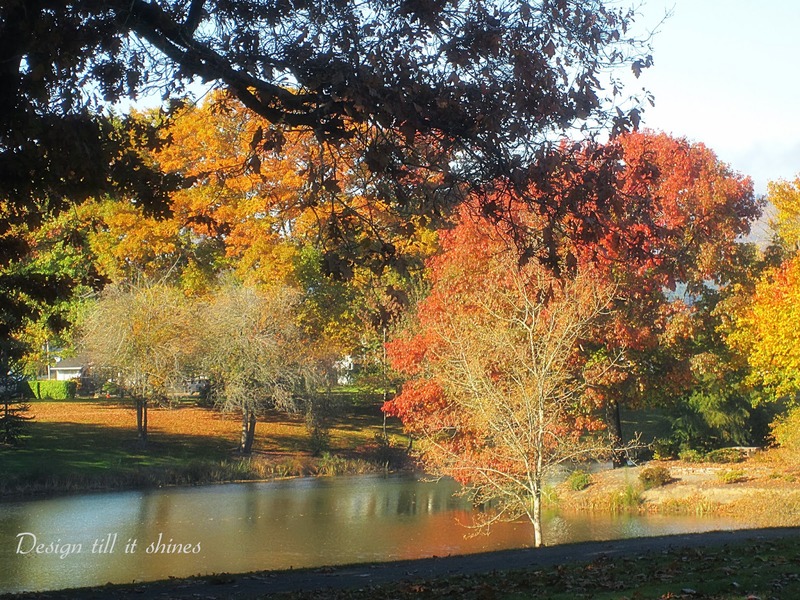 Also, strong winds came up and blew off what remaining leaves there were, so I decided to share some previous posts of fall. 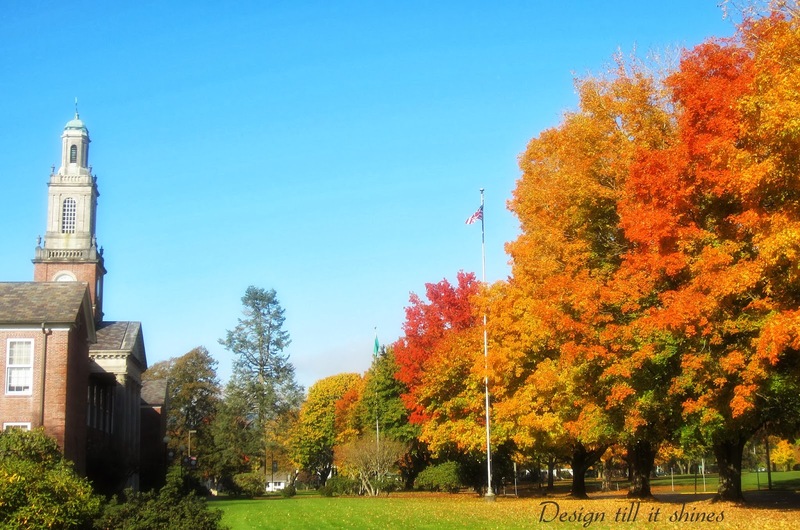 We had gorgeous colors last year and I shared these pics taken last year of the trees surrounding the historic RA Long high school in Longview, WA. 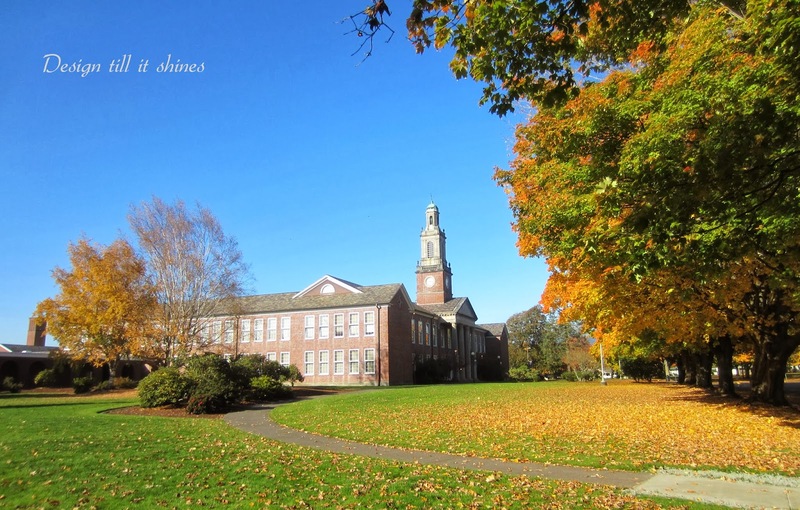 You can visit my Fall walking tour post here. 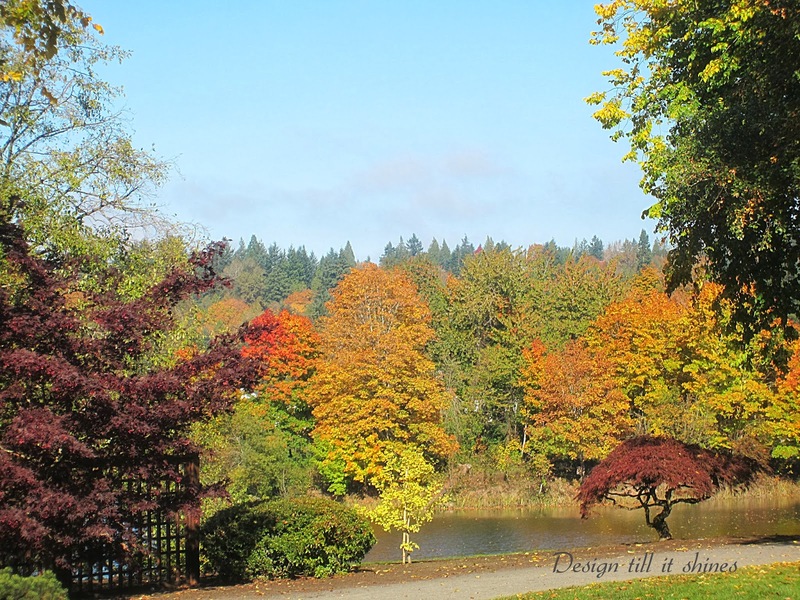 We had some of the most beautiful fall colors I've ever seen in the Pacific NW last year. 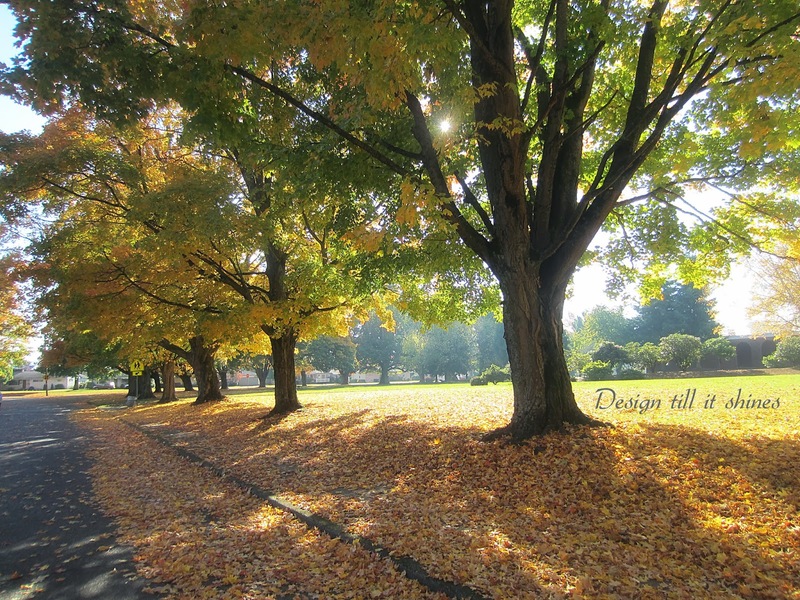 I love this row of trees and all the fallen leaves. 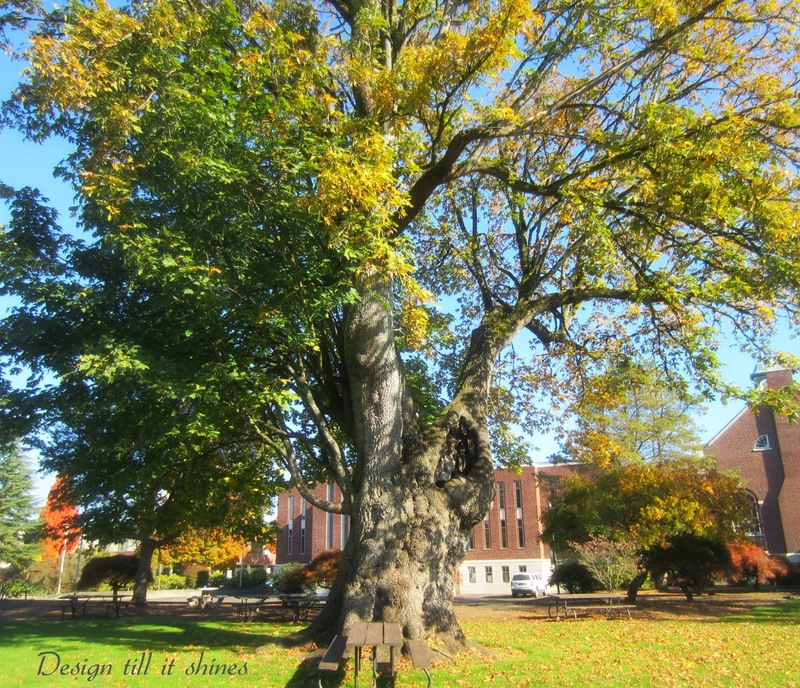 I wanted to share this maple tree again and its massive twisted trunk. The lake isn't as pretty this time of year, due to water run off, but the trees that surround it are beautiful with their fall colors. 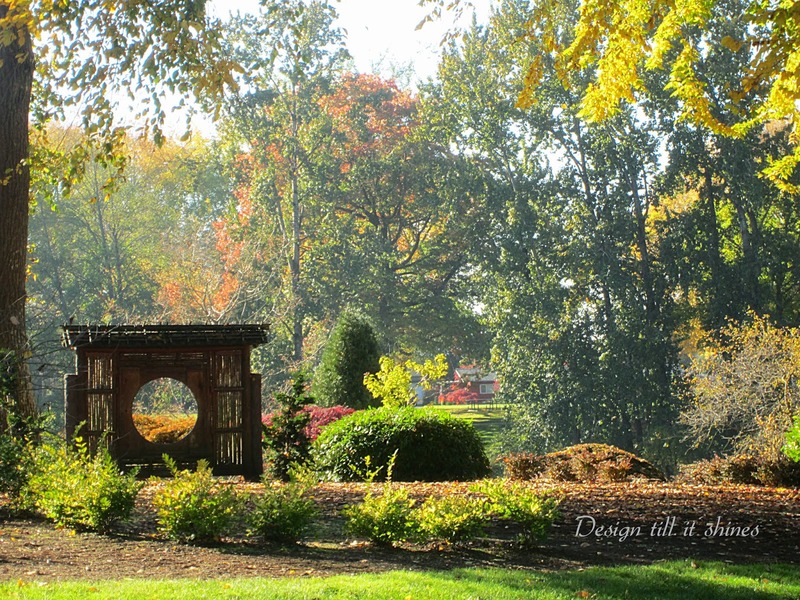 These pics were taken in early fall of the entrance to the Japanese garden. 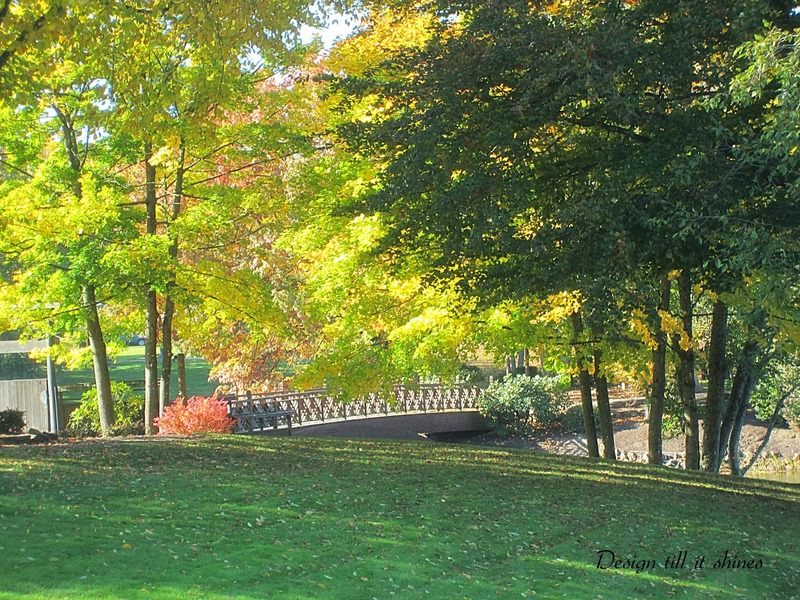 The lovely bridge that crosses the lake into the garden. 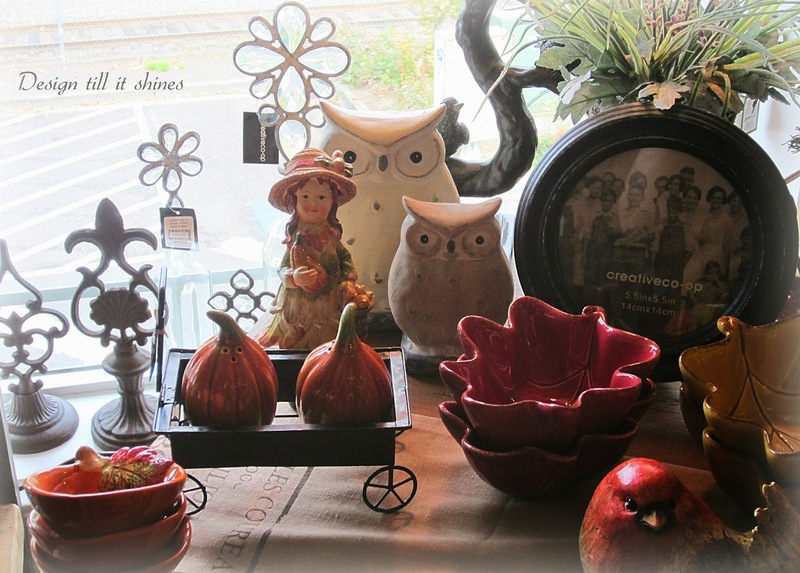 I also wanted to share some pics of my favorite fall collectibles at the General Store in Troutdale, OR. You can see the whole tour here. We visited in September, so they only had a few Thanksgiving displays out. Cute little figurines and pretty platter. I should have bought a few things off this table, big mistake. 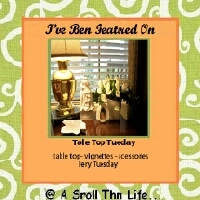 I loved all the leaf dishes, birds and that adorable garden elf. I just didn't have a place to put them at the time so I passed them by. 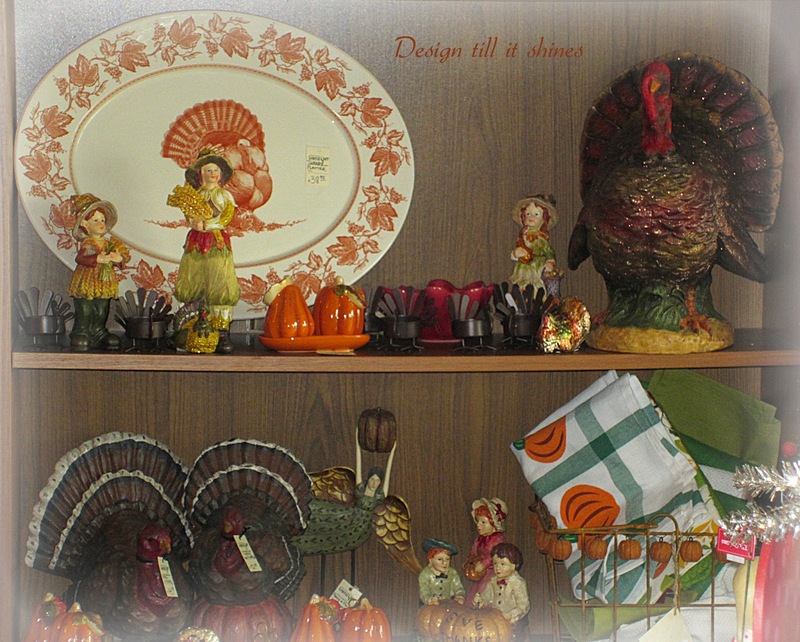 These pics are from our 2012 visit, but if I see fall collectibles that I love as much as these again I'll go ahead and buy them, lesson learned. The owls were really cute and I loved the little produce girl too. 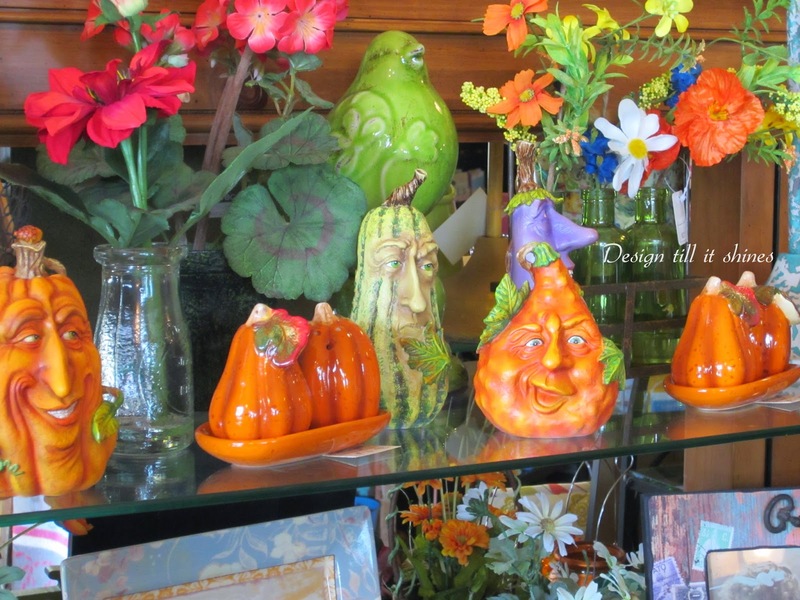 I wanted to include these pumpkin and squash heads again. Love their comical faces. 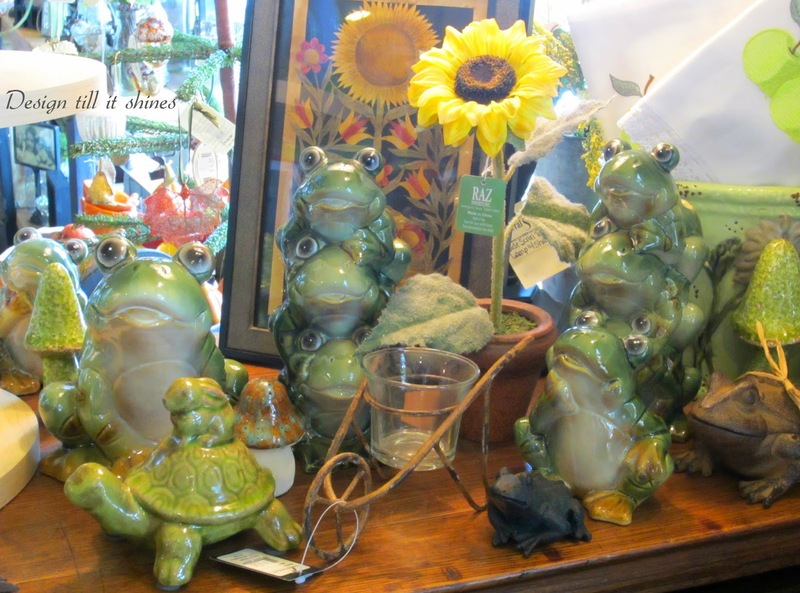 There's something so cute and whimsical about frogs, no matter the season. 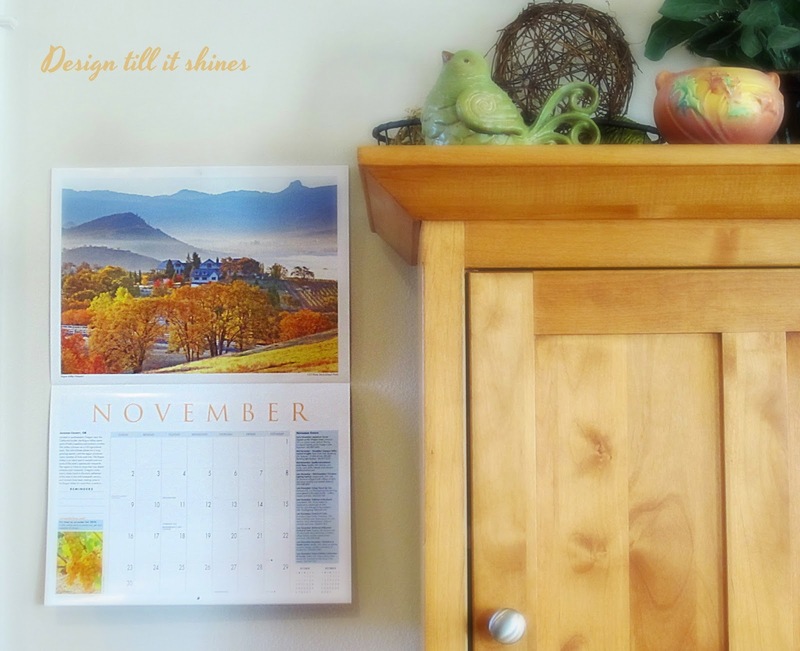 Just some random pics of fall around the house. 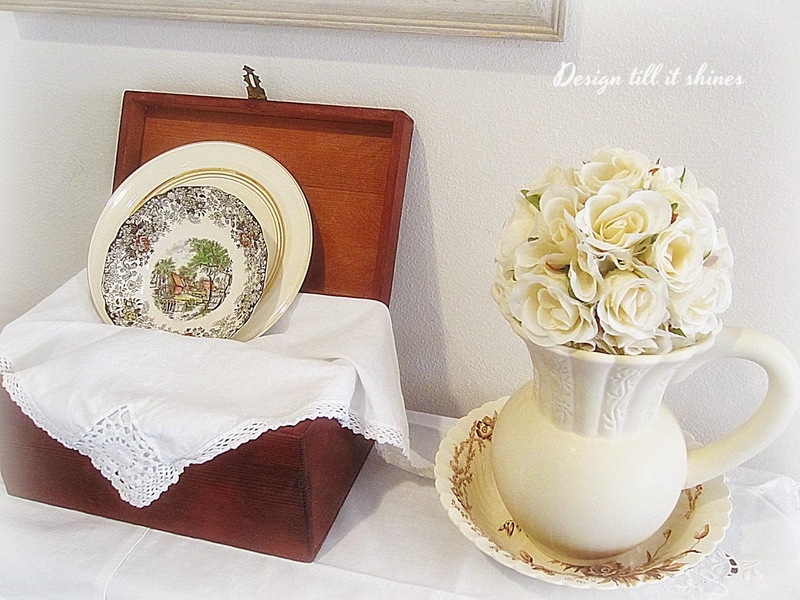 I wanted to share a simple little fall plate in my antique chest. 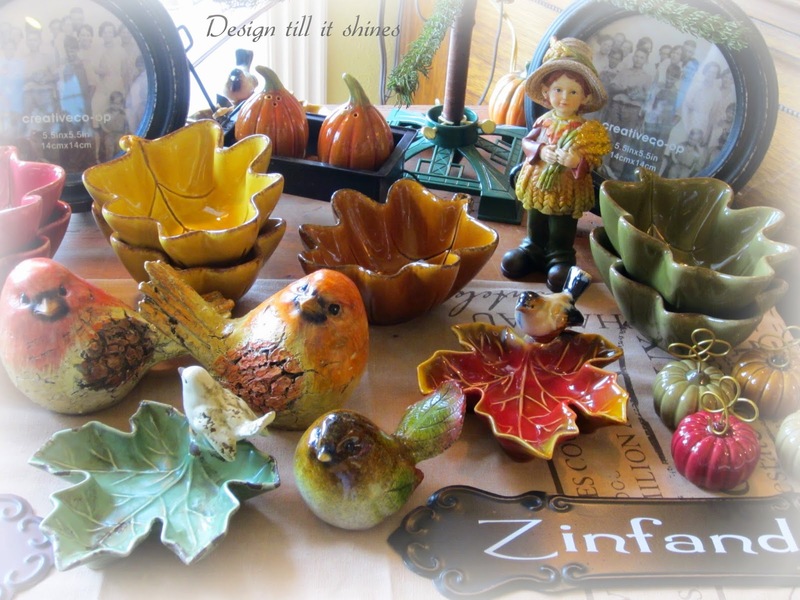 I shared most of my fall decor in a previous post. 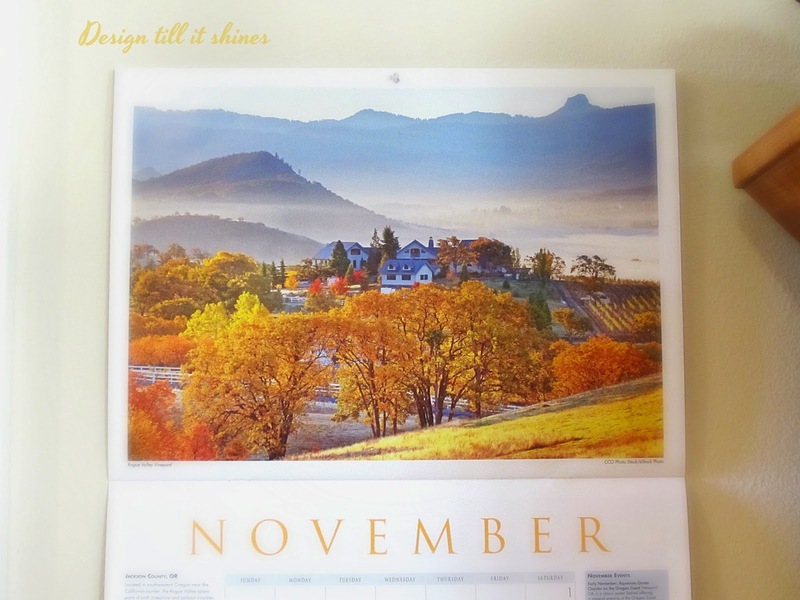 I like to show calendar pics once in awhile as long as the pictures are as pretty as this fall one. 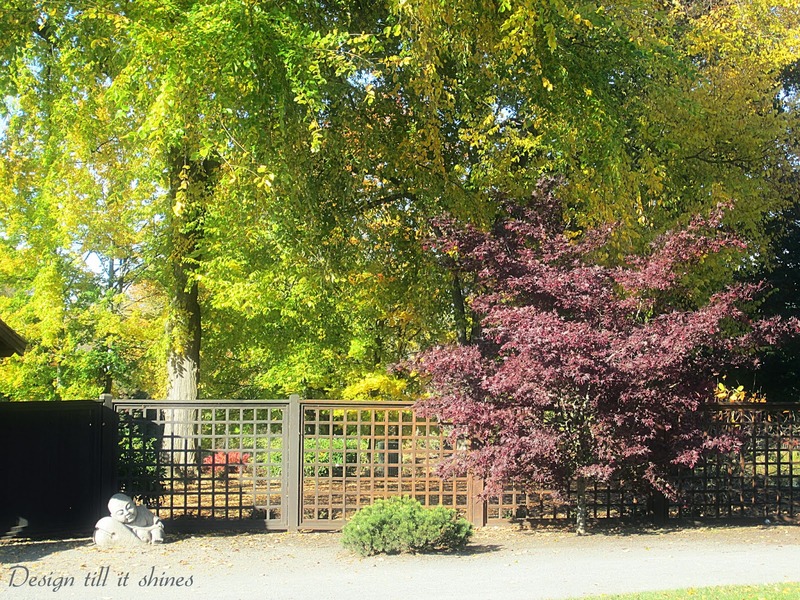 This photo taken in Jackson County, OR really sums up the beauty of fall to me. Thanks for stopping by.